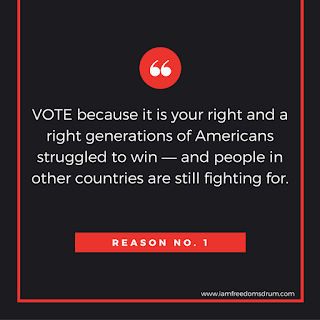 people in other countries are still fighting for. 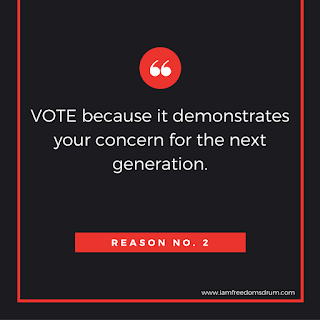 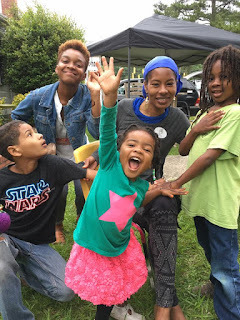 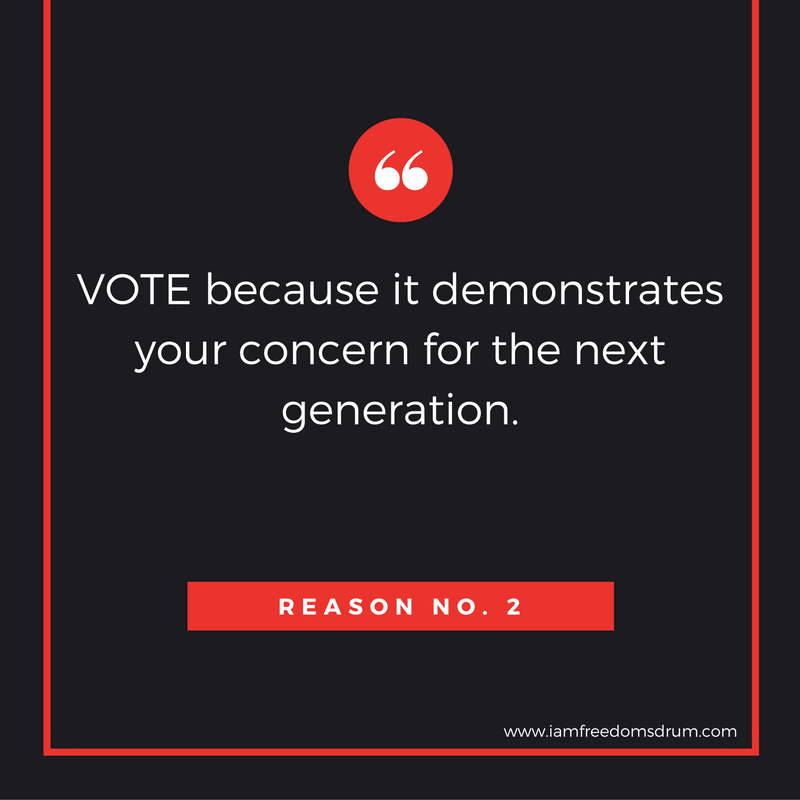 VOTE because it demonstrates your concern for the next generation. 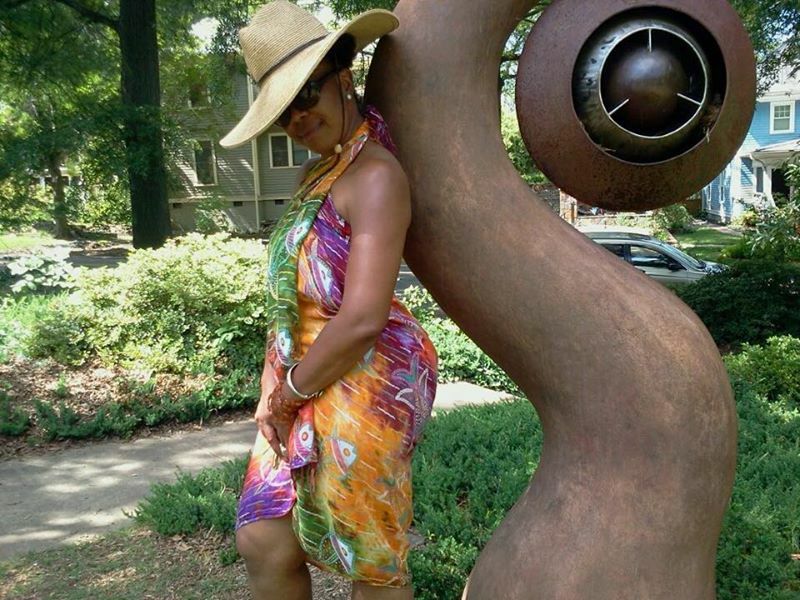 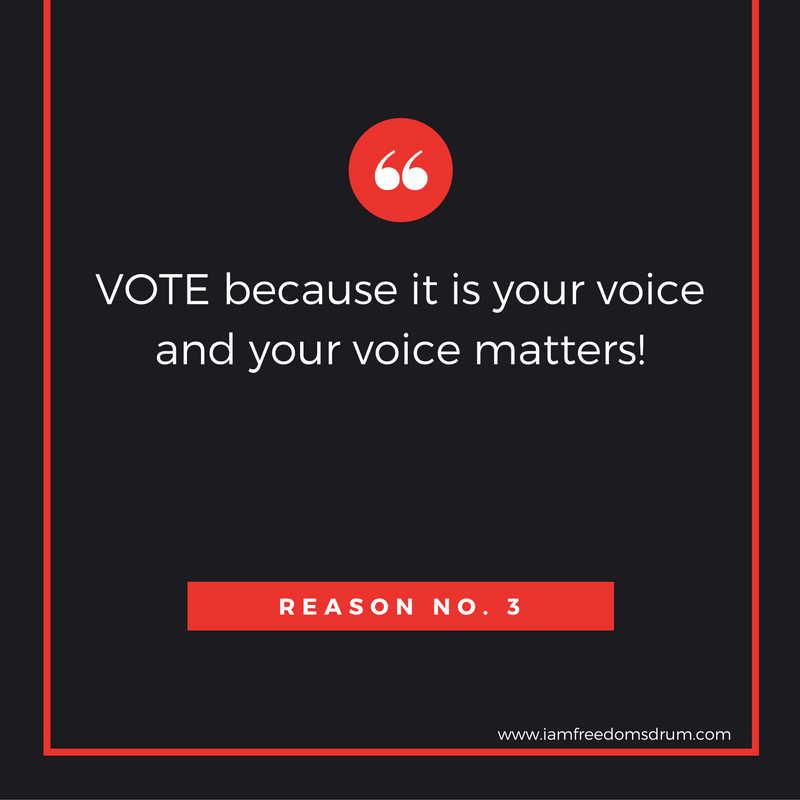 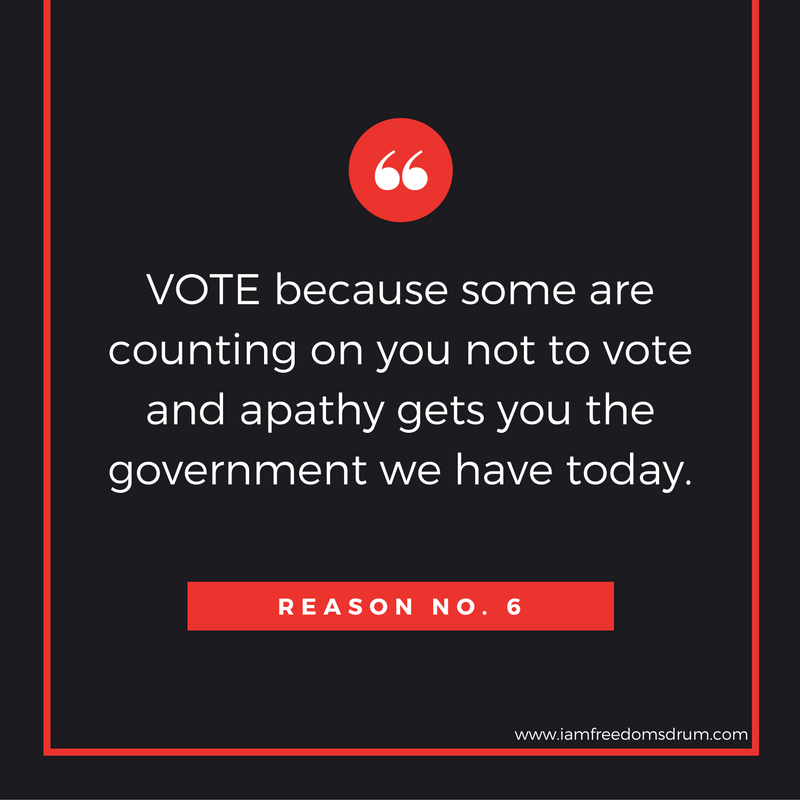 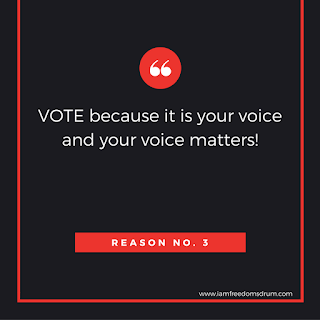 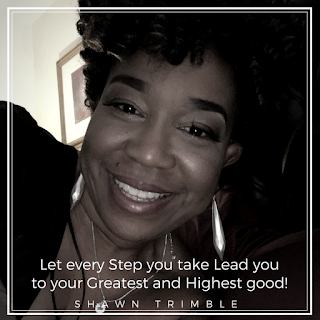 VOTE because it is your voice and your voice matters! 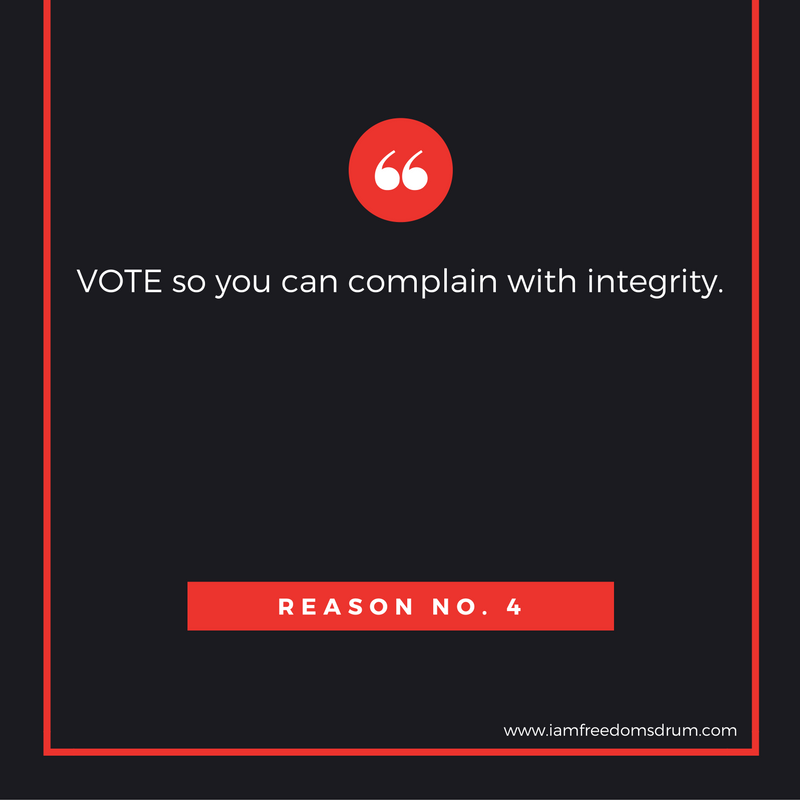 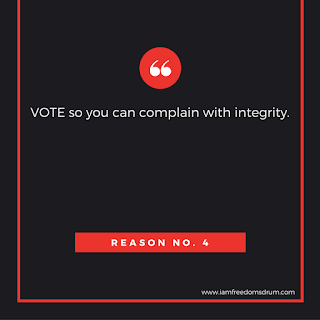 VOTE so you can complain with integrity. 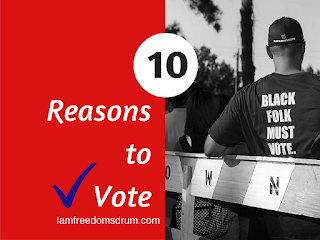 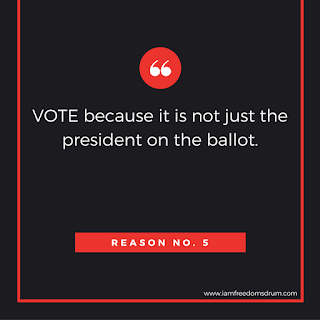 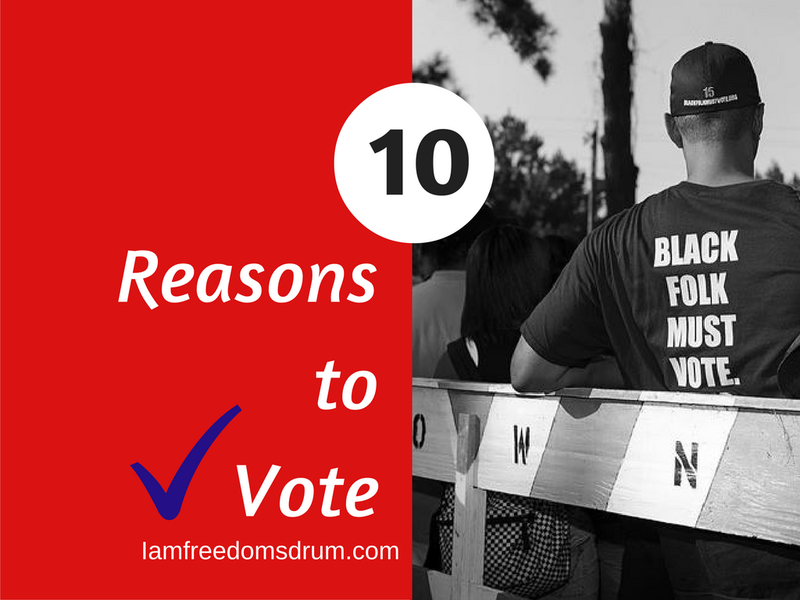 VOTE because it is not just the president on the ballot. 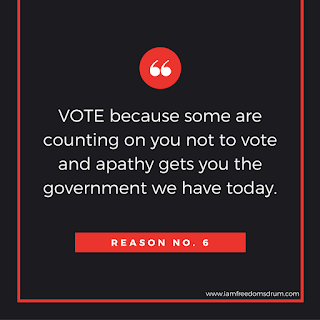 apathy gets you the government we have today. 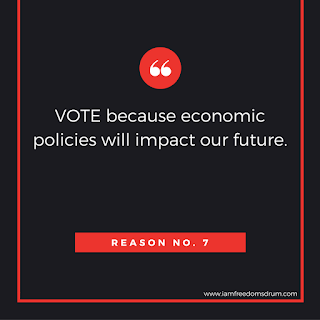 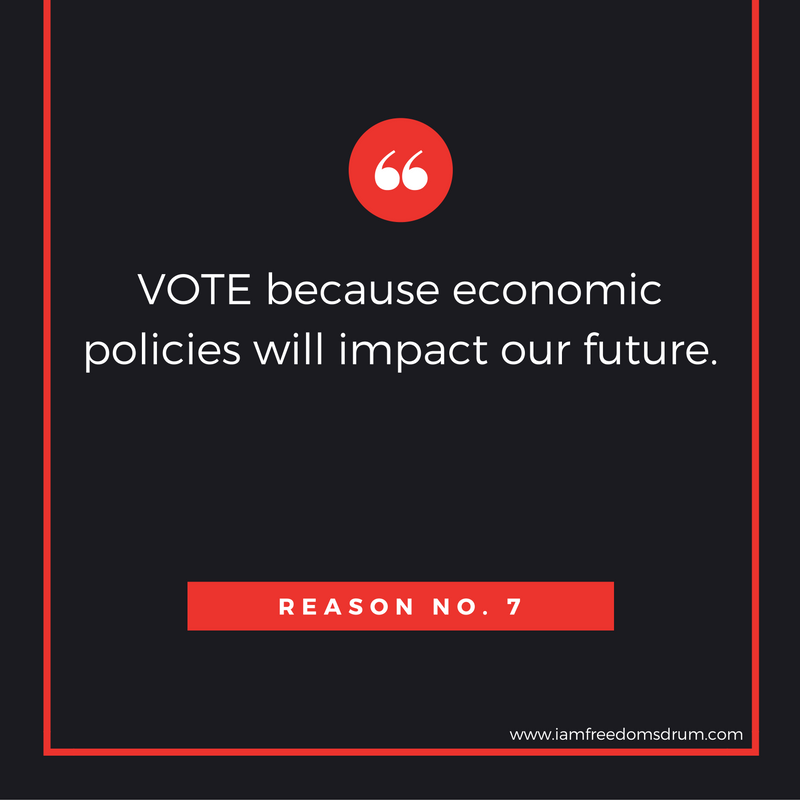 VOTE because it economic policies will impact our future. 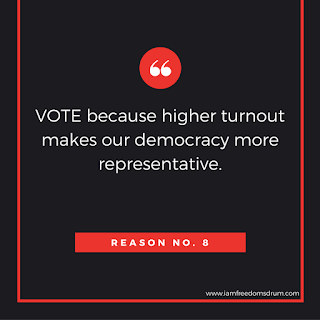 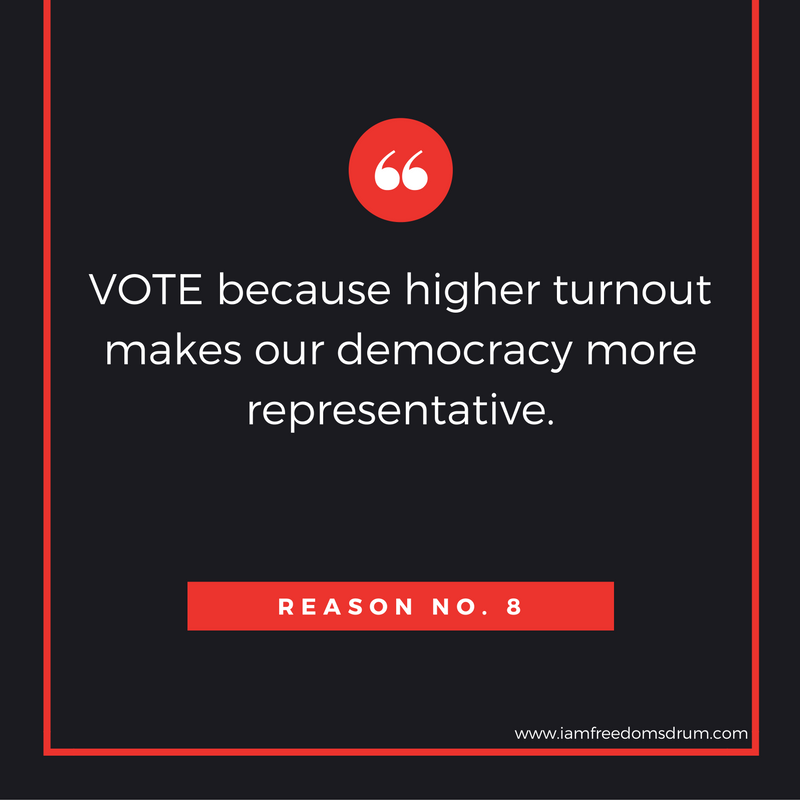 VOTE because higher turnout makes our democracy more representative. 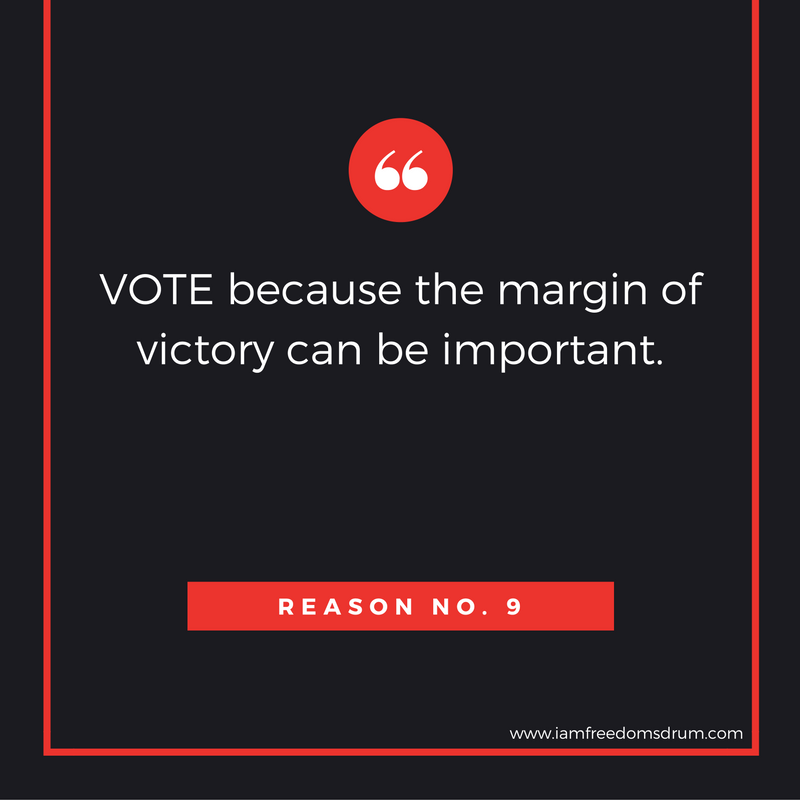 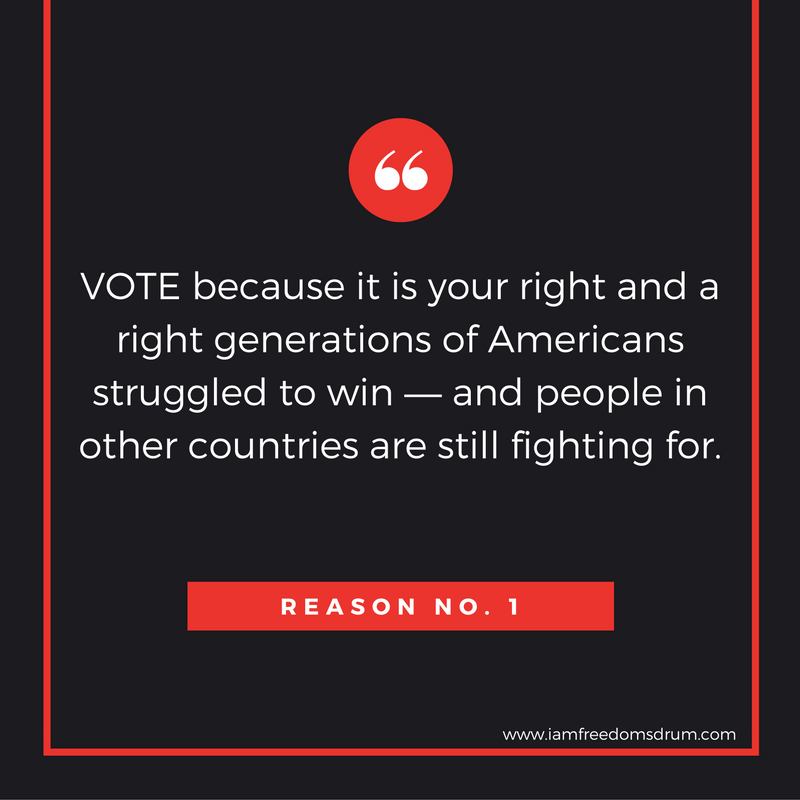 VOTE because the margin of victory can be important. 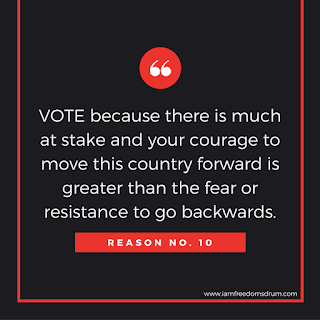 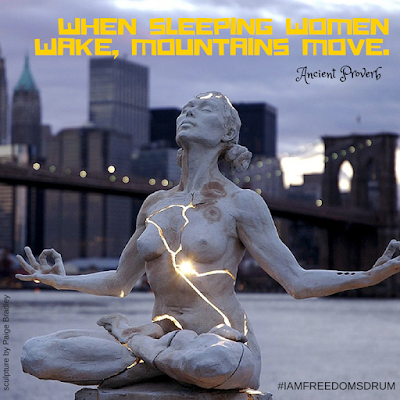 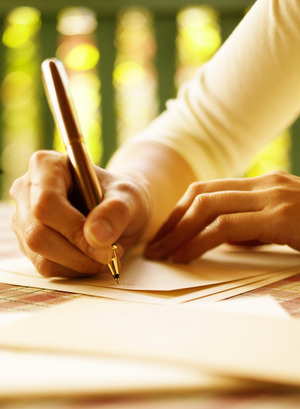 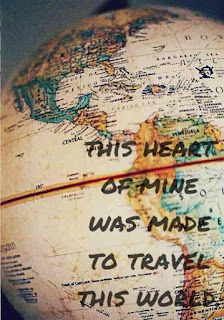 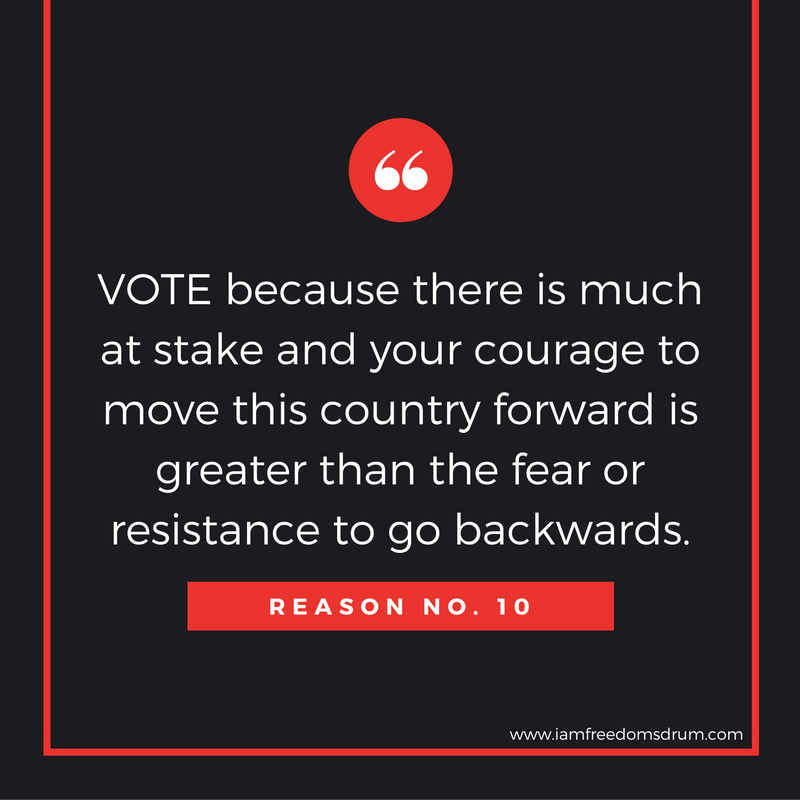 to move this country forward is greater than the fear or resistance to go backwards.